A Reformed church planting effort was established in the northwest part of San José in 1984. By God’s grace a congregation has been organized in the “Tepeyac” community, and a Christian school founded. Roberto Venegas, a convert of this effort, is now the full time pastor of the church, and is supported by an organized church council. 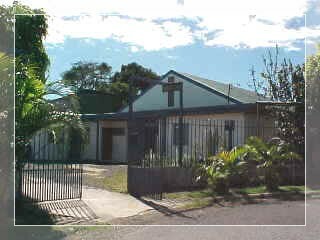 The Tepeyac Christian School is incorporated in Costa Rica, and is governed by a school board. Local ministries of the Tepeyac church include evangelism, theological education, diaconal service to the needy and support to the broader school community in various ways. The Tepeyac Reformed church sustains a daughter church in the community of Los Cuadros, formerly a squatters’ settlement, and an area of great social and spiritual need. Marvin Briseño, an elder of the Tepeyac church, lives in Los Cuadros with his family and gives leadership to the growing congregation there. Their greatest needs include family stability and responsibility, the fight against drugs, orientation for the youth, and income for abandoned mothers. In 2004 the Greens began another daughter church, which presently meets in the Tepeyac High school (under construction). Anyone who would like to visit can contact us at: (506) 8349-6667. God has brought new members and the congregation is growing. Our congregation is making an effort to bring sound doctrine to Costa Rica, especially using internet media, but also conferences and courses. Our Facebook in Spanish is called “Iglesia Presbiteriana y Reformada de Costa Rica”. Visit us!